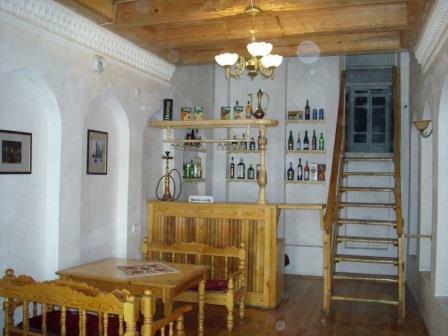 The buildings are fine old homes previously owned by generations of Bukharan Jewish merchants. 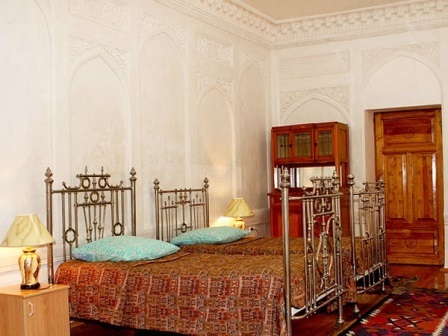 They have been fully restored so that you feel you have stepped back in time but will enjoy all the modern amenities you expect in a fine hotel. 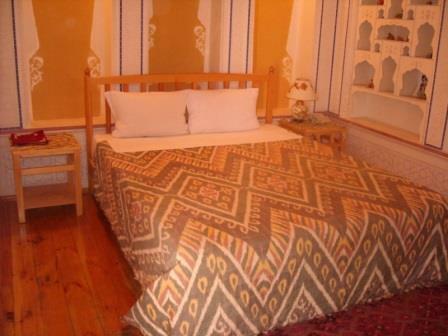 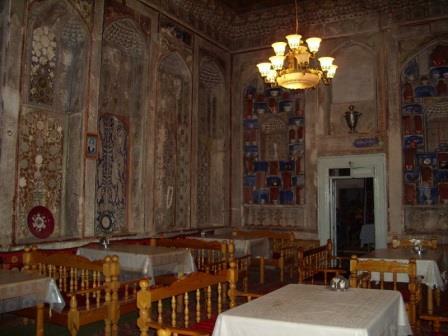 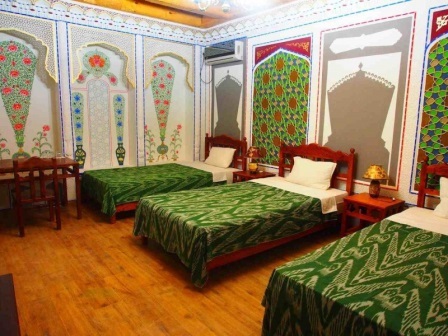 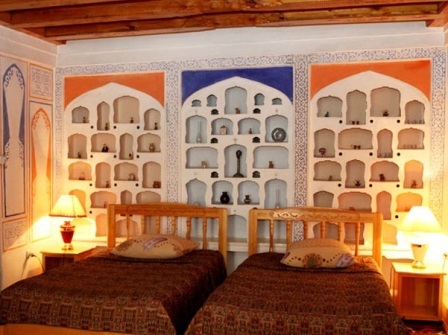 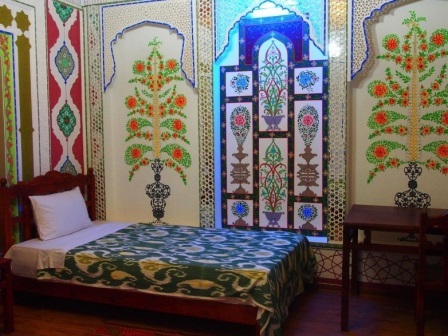 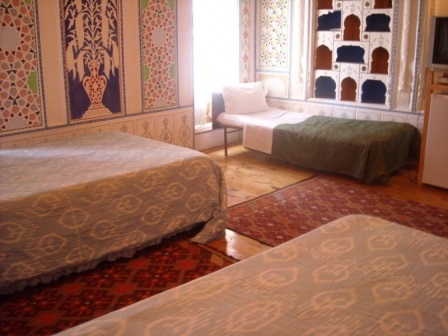 Comfortable beds amid the hand-carved wooden beams and detailed alabaster designs on the walls offer the atmosphere of Old Bukhara while, at the same time, each room has a modern private bath with a shower, an air-conditioner for the hot Bukharan summers, and heat for the cool autumn evenings. 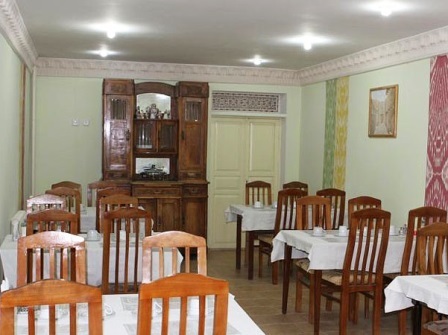 In the morning, step into the traditional courtyard and enjoy a breakfast of tea, coffee, cheese, jam, fruit, and fresh local bread served by our friendly staff. 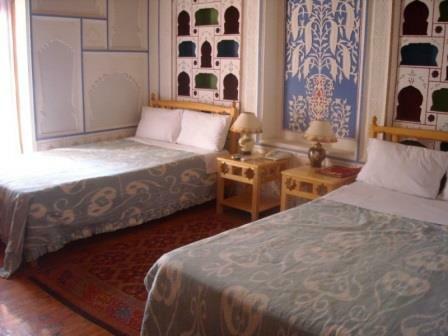 Then make your arrangements for the day with assistance from our staff. 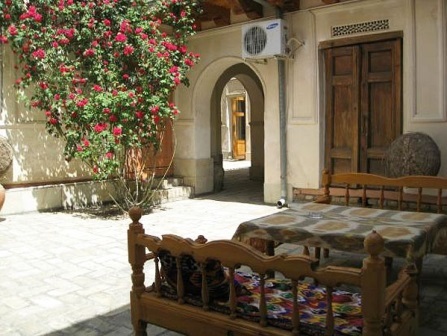 Take a break for tea in our courtyards any time during the day or return for a pre-arranged lunch and dinner. 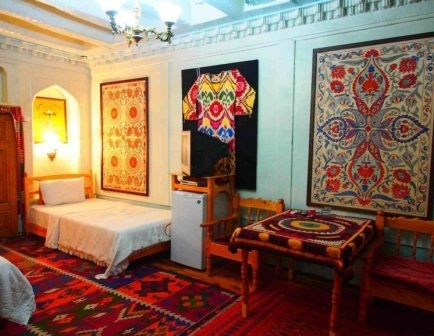 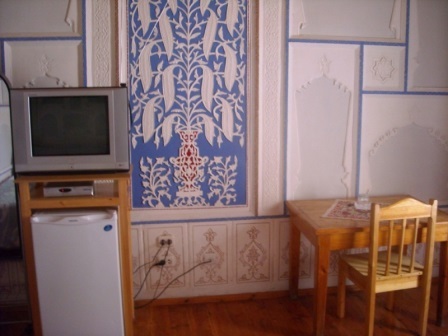 Enjoy your staying in this traditional Uzbek setting and experience our warm hospitality–when you return home, you will remember your time in Bukhara and want to visit us again.